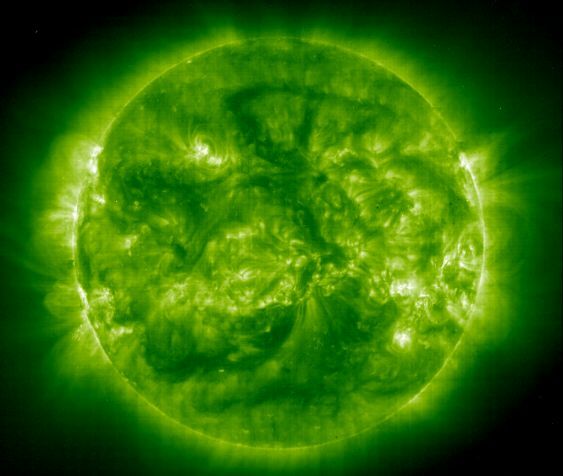 An image of our Sun in ultraviolet band is a very curious and pretty picture. You can see clearly the ejection of material in the crown as this material, the magnetic field returns to the sun. These very energetic and hot loops (about 1.5 million degrees kelvin) of ionized material are with perfect clarity. Dark areas, however, are the “cold” plasma zones have explained many times that contained in magnetic fields. A great picture that is only able to observe in the ultraviolet channel.